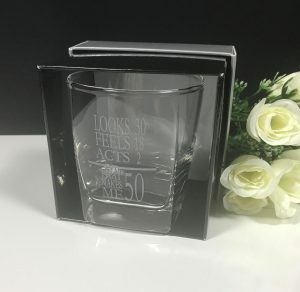 This makes a great gift for any couple or individual who are celebrating an important milestone. 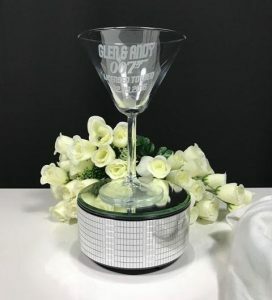 These gorgeous champagne flutes are elegant and stylish. 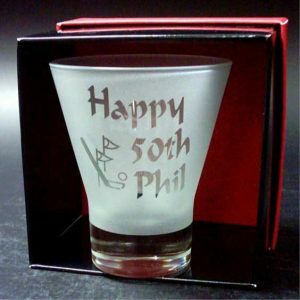 Team up with our fonts and graphics to make a truly memorable gift. Choose your gift boxing to compliment your glass. Just select from the options below. Standing tall and proud at 210mm in height and holding 170mls of bubbles. 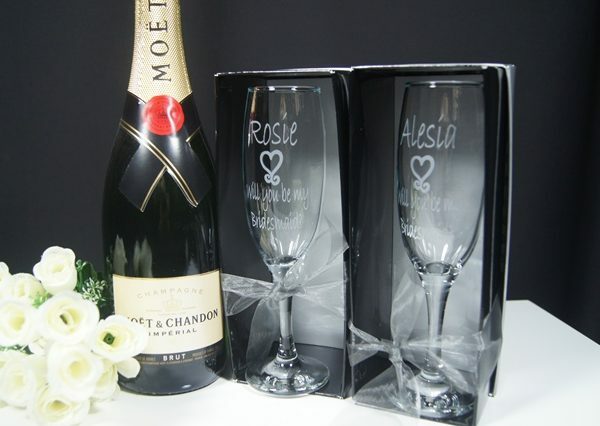 Pricing includes the pair of flutes using any of the fonts and graphics. 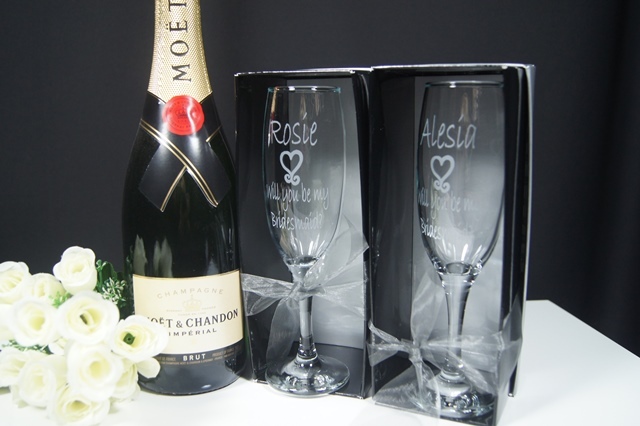 These glasses can be packed in our co-ordinate gift packaging. Just select this option from the drop down menu above. A detailed art proof showing you the design will be sent through once the order is received. Please note that the bottle of Moet is not included.